Amazon River Cruises - In Search of Pink Dolphins Amazon River Cruising on the Manatee. Experience the Amazon's unique ecosystem and incredible biodiversity first hand on this 4-day Amazon River cruise aboard the M/V Manatee. 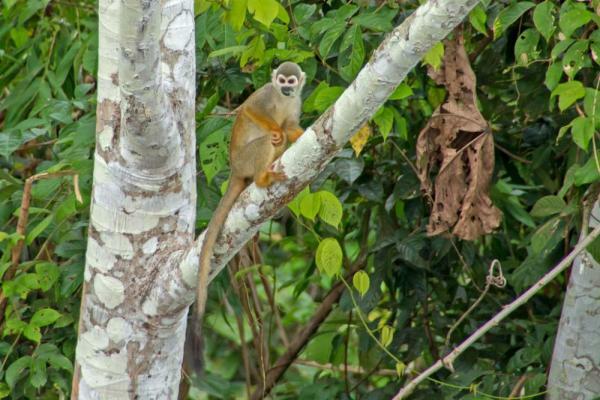 Enjoy several excursions into the Ecuadorian Amazon rainforest to encounter a unique and untamed biodiversity, while your experienced crew takes care of every detail of your trip. Depart from Quito in the morning and after a 30 minute flight arrive at Francisco de Orellana (Coca). Arrive in Coca and transfer to the docks to embark on a motorized canoe. Navigate down the river for about 60 minutes before meeting the M/V Manatee. 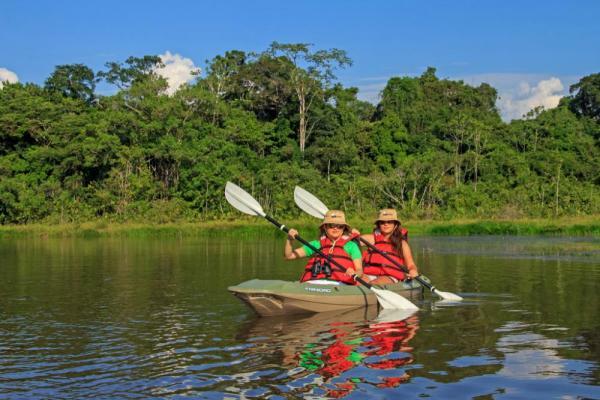 Throughout the journey you have a chance to admire the rainforest landscape and sand banks of the great Napo River. Immediately after boarding the M/V Manatee, continue navigating downstream. Settle in to your cabin and familiarize yourself with the ship as you sail. In the evening, disembark and take an evening walk to experience the forest's nocturnal activity. Continue down the Panayacu River delta and stop to take a canoe trip up to experience the sights and sounds of this fascinating reserve. 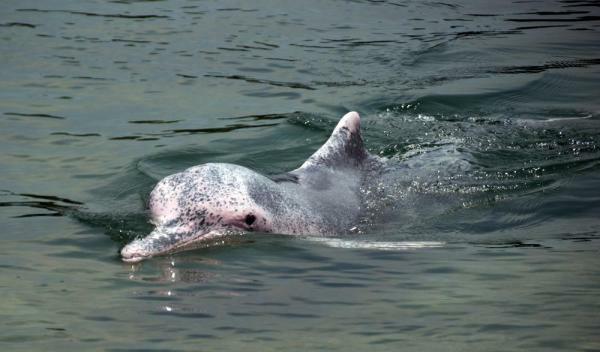 Seek out pink river dolphins and common squirrel monkeys. Pañacocha is an ecosystem which is flooded by white waters. The rivers and lakes are the perfect habitat for the infamous piranha, water monkey fish, and white caiman. Enjoy a delicious Amazon-style BBQ meal and refreshing beverages at a nearby camping site. In the afternoon, disembark and hike the trails that circle the area. 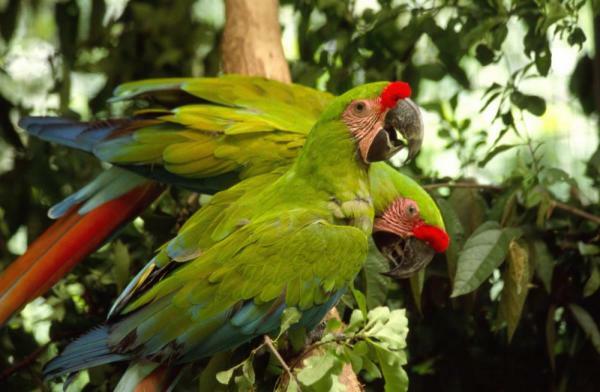 In the morning, set out to visit one of the most amazing spectacles located on this side of the western Amazonia, known as Parrot Clay Licks, these unique pools of mud are rich in minerals and attract hundreds of parrots, parakeets and amazons every day. Weather permitting, have a chance to visit this astonishing natural phenomenon. Later visit the Sani Warmi Kichwa Interpretation Center, where a group of Kichwa women speak and share about their customs, cuisine and daily life with you. They have created the center in order to showcase their culture. 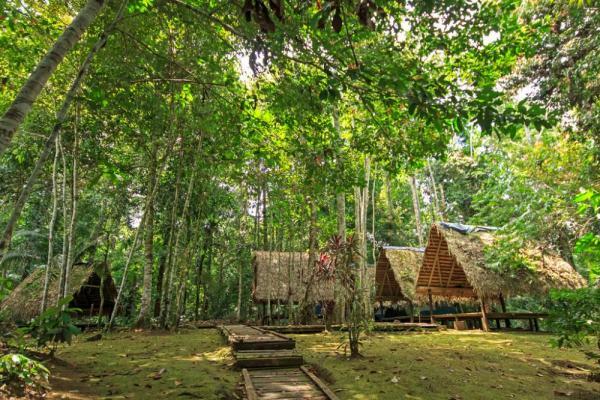 The visit to the Sani Warmi community is a unique opportunity to learn about Amazonian lifestyles along the Napo River. You also have the opportunity to buy handmade crafts, local products and souvenirs. Enjoy lunch on board, as you navigate to Puerto Pedro. Before sunset, visit the Añangu Tower, which offers great photograph opportunities after climbing a ceibo tree and enjoy an astonishing view of the Amazon from its wooden tower. This is a great opportunity to do birdwatching activities. Weather permitting and as an optional excursion, a stop at the Yakukawsay Kichwa Interpretation Centre, and end with an interesting evening walk through the forest (depending on accessibility, river water levels and weather conditions). Your trip into Ecuadorian Amazon, ends here, as you must begin our trip back to Itaya. During yout last night in the Ecuadorian Amazon enjoy a farewell cocktail with the ship´s staff. Before sunrise, navigate towards Itaya, it is from here that you must disembark the M/V Manatee Amazon Explorer, in order to be transferred by a motorized canoe to El Coca (1-hour ride). From Coca, fly to Quito and prepare for your return home. NOTE: The detailed itinerary above is a standard model of our operation. We intend to offer everything as planned, but it is important to note depending on technical or operational difficulties beyond our control, the M/V Manatee Amazon Cruise reserves the right to modify the itinerary without notice.